If you’ve been watching the Olympics you may have noticed that a few of the athletes have mysterious small red circular marks on their bodies. Although it looks like they’ve been either fighting with an octopus or had a monochrome version of the Twister board tattooed on their back, the actual explanation is far less exciting. The marks are, in actual fact, a result of a process known as ‘cupping’, an ancient Chinese form of acupuncture where hot cups are placed on the skin to create a vacuum, reports The Independent. For thousands of years, the Chinese have believed that cupping helps to mobilise blood flow to promote muscle healing, and although the marks look pretty sore, the process is apparently painless. The downside is the bruising, which usually worsens on the second or third day after the therapy. 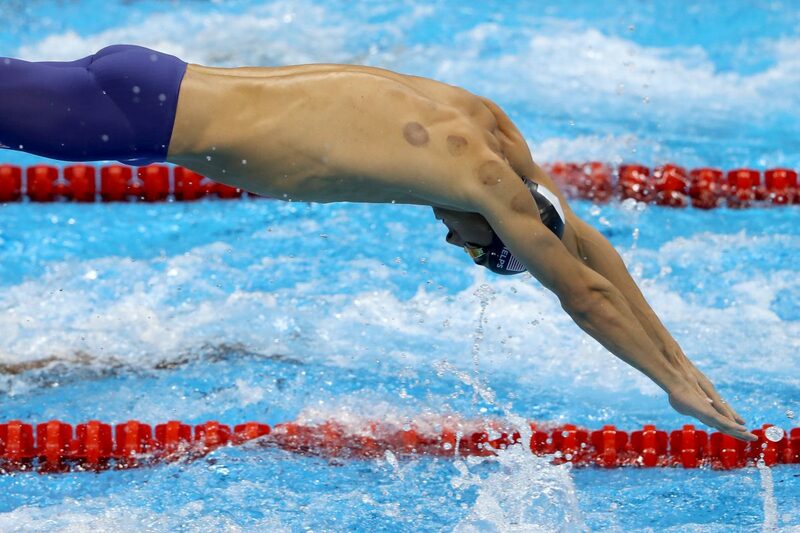 Although a large number of athletes swear by cupping therapy, the practice has had its fair share of critics from the medical profession – who have dismissed it as a fad.